For the last year I’ve been working on sound restoration and mastering for 600+ tracks recorded by the late Tony Conrad. The project was organized by Cory Arcangel and the final web archive was released last week. The Chronic Data Society is a temporary title for multifaceted media project that explores chronic pain through research, personal antidotes, user generated data collection, shared experience, and software development to create a community driven resource and open-data research lab to help people respond to chronic pain. The project is in it’s initial stages and is reaching out to those who suffer from chronic pain to begin to create a community of those struggling with pain. Please contact me at jon at splnlss dot com for more information. My film Back Water, is having it premier this Thursday, April 23rd at Vision Du Reel in Nyon Switzerland! It’s screening again on Friday April 24th. If you’re in the area or coming to the festival send me a message and I might have a few extra tickets. Everyone else, I hope to see you soon closer to home! BACKWATER: In the middle of New Jersey exists a strange landscape of wetlands and wildlife migrations, garbage dumps and the ruins of industry, toxic waste sites and a river that tells the story of a civilization’s new frontier. That is what seven young people have chosen to paddle through for 10 days, in canoes… A singular expedition, as romantic as it is political. I recently started my fellowship at the New York Foundation for the Arts. I’ll be starting a couple of new projects, one focusing on chronic pain as well as a few projects related to my film ‘Back Water’. Media Art Assistance Fund Recipient! I’m honored to receive a Media Art Assistance Fund grant from Wave Arts in association with New York Council on the Arts. This grant will help finish off some of the post-production for my film Back Water which will premier shortly. I’ve been accepted into the Process Space residency program at LMCC! It’s on Governors island this year so you’ll have to stop by a visit. The boat ride along is worth it. Process Space provides intensive, project-based studio residencies, including opportunities for audience development, for mid-career and established artists and arts groups working across all disciplines. 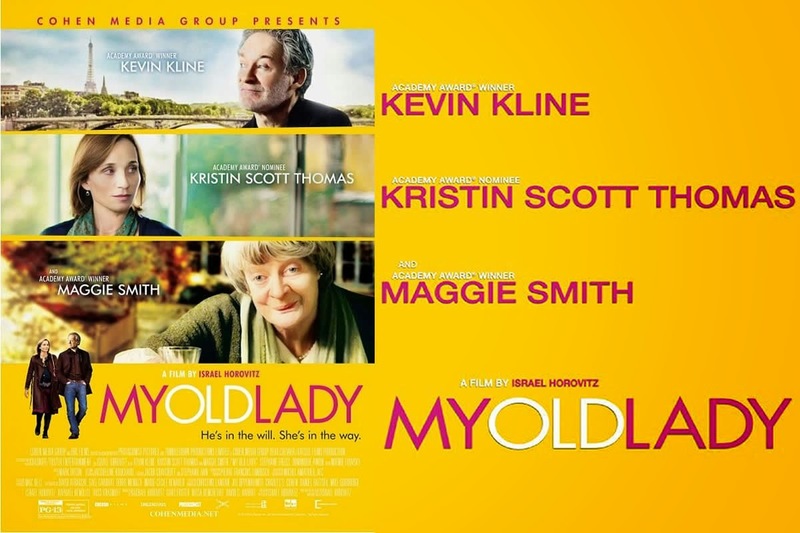 The respected playwright Israel Horovitz (father of another Horovitz, Ad-Rock of the Beastie Boys) has a new film out staring Kevin Kline, Kristin Scott Thomas, and Maggie Smith. 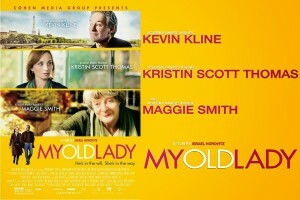 It’s a fine film essential set in an old Parisian town house that only a playwright could pen. I mastered the soundtrack at Bear Call Mastering and the gorgeous score was composed by Mark Orton. It’s currently in limited run theaters so check it out if its playing near you. CD’s are also available at Amazon or from us directly. Also catch us on WNYC’s New Sounds. Corporate Avoidance is a new software we’re releasing that acts as a fake rending screen and animated gif launcher. Corporate Avoidance is a free program we designed for use with Final Cut Pro, to unshackle you from your workstation by taking advantage to the necessary evils of life as an editor. It works by loading screenshots and animated gifs to make your computer look like it’s busy rendering, so you can take your sweet time to take a walk in the sun to that place that makes the good sandwiches, or pull the plug on a client who insists on sitting-in until the cows come home! It’s great for students, too — make your reserved lab computer look busy ‘rendering’ so that no one uses it while you run downstairs for a Snapple! Whenever you need a break, simply launch Corporate Avoidance and walk away as your computer “Renders” for however long you would like. In fact, you can even create your own presets by making screen shots of your monitor, and entering the “project name” you want to be busy “Rendering.” Or make you’re own animated gif’s as you sneak out to walk your dog. In addition to my art stuff, some of you know that I also run an audio mastering studio called, Bear Call Mastering. One of the recent projects I worked on was the sound track to “Nebraska” a film by Alexander Payne. The sound track was written by Mark Orton and is really phenomenal. If you haven’t seen the film, check it out while it’s still in the theatre. It’s beautifully shot and the black & white landscapes are worth seeing on in their own right. It’s exciting to see that the film is up for several Oscars. I’m showing a project in an exhibit at the Museum of Contemporary Art, Puerto Rico. The opening is February 6th in San Juan, PR. All of the work is from a residency with the National Forest Service in El Yunque National Park,PR. The exhibition includes a great selection of work from artists and scientists.